Smooth wheeled Diesel Road Rollers with operating weight 8 to 12 tonnes are fitted with 4 forward and 4 reverse speed gear box. The most popular compaction machine for low density roads. - Usage: Use to compact soil, gravel, concrete, or asphalt in the construction of roads etc. 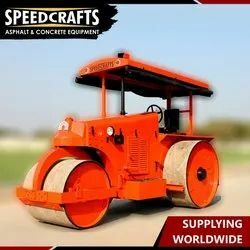 Matching to the huge market demands, we are involved in offering best quality of Hydraulic Road Roller. 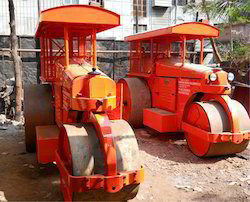 The offered Hydraulic Road Roller is manufactured by using good quality raw material. Further, the offered Hydraulic Road Roller is extensively used for compaction applications in road construction.